Why Attend the CDM+ Users Conference? 2 1/2 days of classes cover every aspect of CDM+ for every role within your organization. Choose from a range of beginner, intermediate, and advanced classes. Train on CDM+ 11 and our newest solutions for desktop, cloud, and mobile. See elements of CDM+ you may not be using or may not be using to their fullest extent. Leave the office behind and just focus. Expand your network of CDM+ resources. Hear real-world examples of ministry leaders using information to solve challenges. Other CDM+ users are a great source of encouragement and helpful advice, during and after the conference. Investing in staff training is shown to increase job satisfaction and decrease turnover. Plus, the computer lab is open to provide one-on-one help with your church's data. 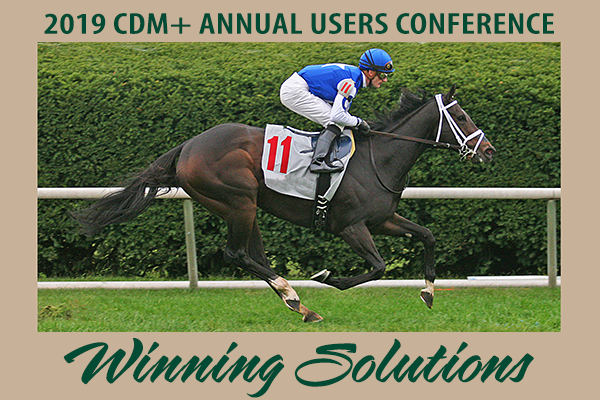 More details about the 2019 CDM+ Users Conference and special events will be posted soon. Sign up before June 14th and be entered to win an Amazon gift card up to a $300 value! In the meantime, take a look at the 2018 Schedule, Suggested Tracks and Class Descriptions for an idea of what's offered and how attendees can customize a conference experience to fit their role and level of expertise. And reserve your stay at our users' favorite conference hotel and host site, Hilton Lexington Downtown. Apply Training Credits? Users enrolled in CDM+ Premier Support earn training credits with their annual subscription which can be applied to your conference fee. To inquire about your training credit balance, call 1-800-633-9581 or email training@cdmplus.com. Register and Pay Online: Sign up, apply Training Credits, and pay using Engage for CDM+ Users. We've created a CDM+ Users Portal in Engage, the same mobile-friendly online tool you can use to connect with your members. For details, click or copy this link: http://www.cdmplus.com/SUF-Login. Conference Fee Includes: All class sessions, keynotes, and panel discussions. Lunch on Monday and Tuesday. Breakfast on Monday. Conference Manual with course materials for every class offered, including the ones you don't take. You are responsible for your travel, hotel accommodations, and evening meals. Conference Hotel: Class sessions, keynotes and panel discussions, networking events, and one-on-one help in the Computer Lab are all offered at the conference hotel, Lexington Downtown Hilton. The Users Conference room rates are good for the nights of Oct. 20-24, 2019 if you wish to stay an extra night. Be sure to stay where all of the action takes place. Click the RESERVE NOW link to make sure you get the best rate in the block of rooms set aside for the Users Conference. Conference rates valid through Sept. 24, or when the room block is sold out. Cancellation Policy: Written notice of cancellation is required. Cancellations received up to Sept. 15, 2019, will be refunded in full. Cancellations received Sept. 16–October 14, 2019, will receive a refund of all but $100 of the conference fee. Cancellations received after October 14, 2019, are not eligible for any refund. If you are unable to attend but someone else from your office is coming in your place, please let us know as soon as possible. There is no fee for substitutions. To learn more about registering using a login, go to the Suran User Portal Information page.